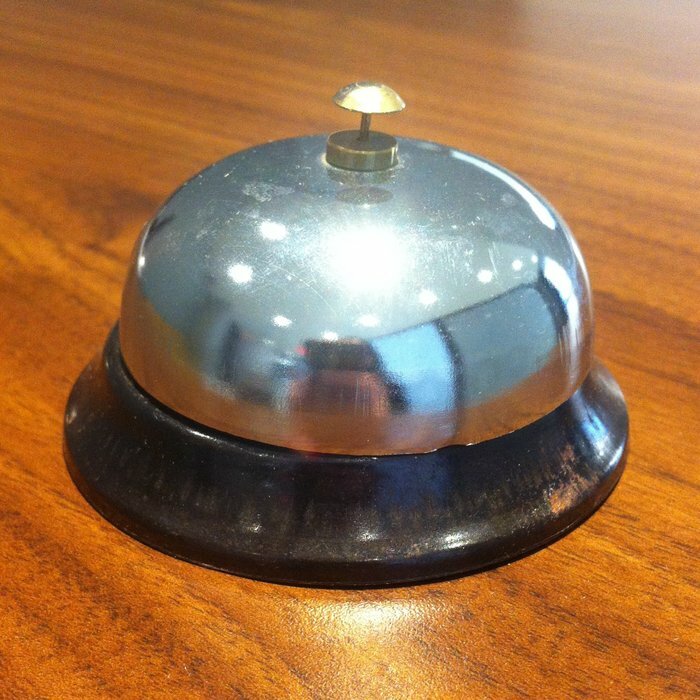 Customer service on social: how to do it right | APEX Public Relations Inc.
You’ve made the leap – you’ve secured internal approval to launch social media channels for your brand or product, but it’s not as simple as just sending out messages to your audience. Managing a brand channel deserves more attention than just developing content. It requires an open and ongoing relationship with customers online – the good and the bad. Slowly fading are the days of the 1-800 number as customers demand more live-and-direct opportunities to engage with a company or product. With this customer service revolution grows the chance to connect with customers across multiple experiences not just the negative experiences. Before the purchase: Starting with a need for a product, customers often ask their friends for recommendations or conduct research on their own to make their decision. Recently, Kitchen Stuff Plus saw and responded to tweet from my friend Joallore who recommended I check out the company to get a Banana protector for my overly bruised bananas. Kitchen Stuff Plus was monitoring any mentions of their brand online monitoring software, possibly Tweet Deck to alert them of their mentions. Since my friend recommended them, they could easily join the conversation without being annoying and provide helpful advice to make my purchase. After the purchase: Once customers choose a product or service many of them share their experiences with it on social. Whether it’s taking a picture in the Burger King crowns or capturing a how-to video on styling with Bombshell curling iron. Find those stellar experiences that your customers are already sharing online, encourage your brand ambassadors to make content or capture them yourself in-store and share these experiences on your social media channels. Maybe it’s working with your store managers to capture photos of customers during an in-store event or highlighting achievements of your employees who offered great customer service. 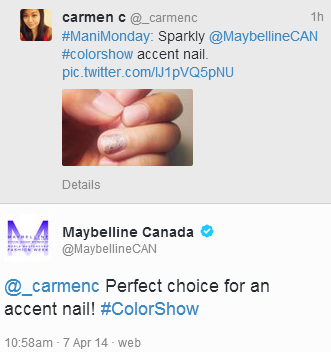 For example, Maybelline Canada frequently engages with their followers on their beauty choices and trends. What is your favourite brand to follow on social and what positive customer service interactions of theirs do you enjoy? Katie Boland is a Senior Consultant. Follow her on Twitter. Does your business need help crafting a social strategy? APEX has the expertise.